These beautiful small creatures combine class A and class D amplifier technology. They do this not by having a class A preamp and class D poweramp, but by using both techniques in parallel. I couldn’t wait to find out if this really delivers the best of both worlds. 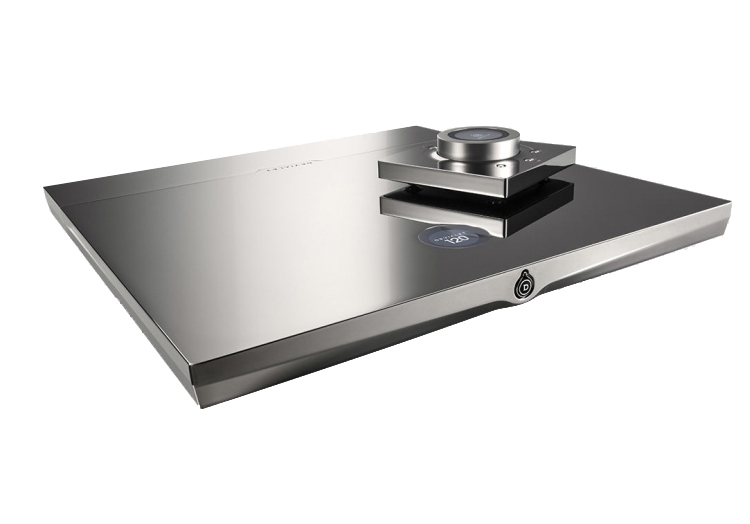 The Devialet Expert range consists of increasingly powerful components housing a preamplifier, power amplifier, DAC, streamer and phono stage in a single and extremely thin slab of solid aluminium with a very luxurious shiny chrome finish. Lots of reviews have already been written about these amps so I won’t reiterate all the intricacies here, instead will focus on the main selling point, for me at least, being the sound quality. Reviewed here are the Devialet 120 and 200. These are the entry level and one step up models respectively. 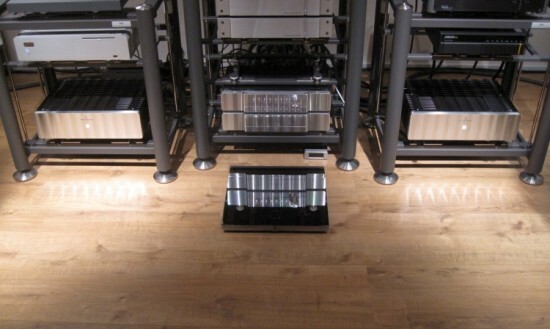 Above this the chassis double and become ever more powerful dual mono designs. 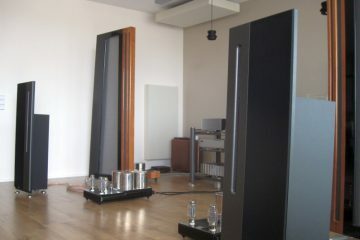 As I would later learn using Apogee Duetta and Diva magnetostatic speakers, both of the smaller models have more than enough power, meaning that the higher models would only really be interesting if your speakers are either incredibly hard to drive or require active multi-amping. 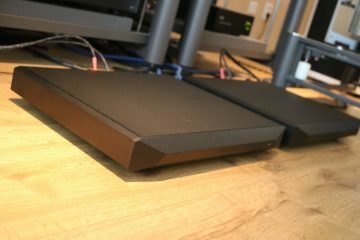 Unlike many other so called hybrid amplifiers, Devialet doesn’t simply use a class A preamp stage followed by a class D poweramp. Instead they employ a small class A powerstage and a powerful class D powerstage and operate them in parallel. 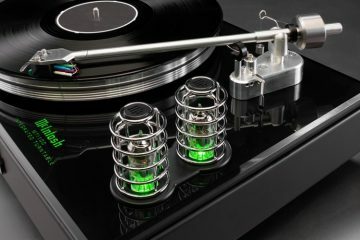 Normally this is not possible as the two amplifier technologies would essentially create a short, but Devialet have devised a way to make this work, called ADH, which I suppose stands for Analog Digital Hybrid amplification. The idea of the ADH is to maintain the analogue amplifier’s voltage generating function (to maintain their excellent audio performance levels), but to confide the current generation function (power for the load) to an amplifier equipped with superior energy efficiency, in this case a digital amplifier, otherwise known as a switching amplifier. The analogue amplifier determines the load’s output voltage, just as it would in any audio system, without, however, providing the associated current. The digital amplifier is based on an innovative, multi-phase and multi-level design operating at 1.6 MHz. 4 phases over 5 levels are in play per channel, (8 phases and 25 levels in bridged mode), and there are no output capacitors in the signal path. The output impedance is constant and less than a milliohm for the entire audio band. 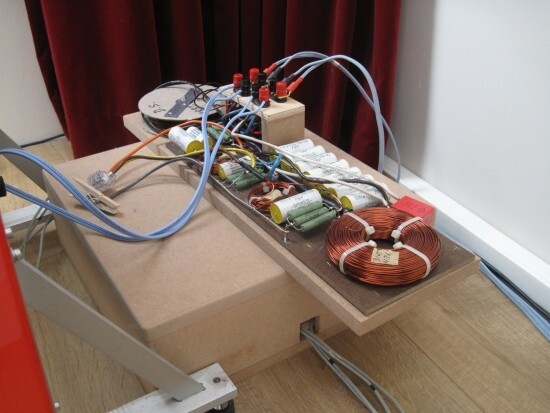 The resulting damping factor ensures perfect control of any speaker on the market. According to Devialet, exceptional audio performance levels are obtained, without special selection or peering of components, and the performance levels are reproducible from one device to another, sustainable, and guaranteed by design. As one moves up the models ladder, more options are added, mainly catering to inputs and outputs. The 200 is sold as being in the sweetspot, not costing the world, but offering more connectivity and more power than the 120. 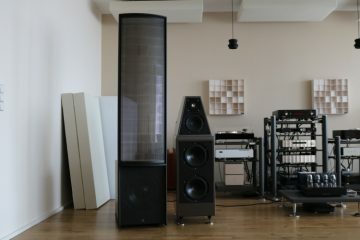 The 120 does offer some of the 200’s standard connectivity as options at extra cost, such as a preamp output and an asjustable subwoofer output. The 200’s standard connectivity however is already plentyful with wifi, ethernet, USB, coaxial digital, toslink and analog inputs on line level and phono MM/MC level. All settings are easily configurable via the Configurator section on the Devialet website, then downloaded onto an SD card. Upon inserting the SD card into the Devialet unit and restarting it, the new configuration is loaded. Using multiple SD cards multiple configs can be saved. Inputs can also be individually configured as Bypass, for external surround processor inputs for example. Do note that the options available in the software are divided over the 4 physical cinch connectors so that some selections exclude others. 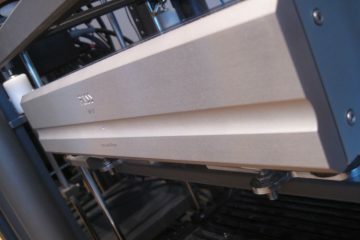 For example on the 120 you can’t have phono as well as line in simultaneously assigned. For that you would need to get the 200. There’s lots and lots more to configure, such as all phono EQ curves known to man as well as RAM (Record Active Matching) profiles for many pick-up cartridges, default volume level, output power and remote control settings. 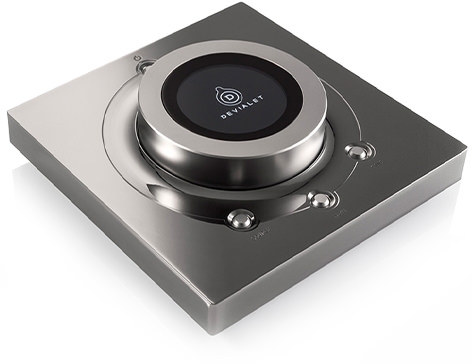 For more info see the Configurator section on the Devialet site. It is accessible even if you don’t have a Devialet. I have heard many amplifiers with very high damping factors, and while this does indeed guarantee excellent control over the speaker, this does not guarantee enjoyable sound. Class D inherently has a high damping factor, and can easily provide lots of power from a tiny package as well, but when it comes to being emotionally involved in the music, I’m yet to encounter a Class D amp that beats the best of class A/B. I have heard quite a few Class D amps, and even the best ones still come up short in terms of timbre or tonality, smoothness or fluidity, and treble air. Therefore, the question that popped in my mind first was: would the hybrid ADH technology really deliver? 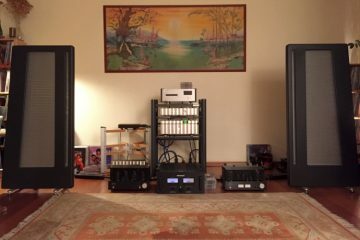 I needn’t have worried – starting listening tests in my smaller audio setup using Apogee Duetta Signature speakers*, the 200 sounds impressive from the get go: powerful, smooth, extended, highly detailed but very refined and very airy. 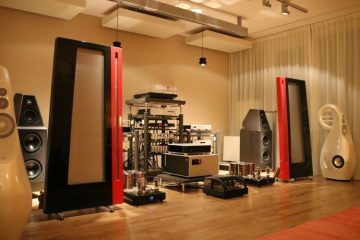 Comparisons were made with a 5150 euro Accuphase E-260 integrated amp and a 5700 euro Jeff Rowland 525 poweramp driven directly by a Wadia 121 DAC. Starting with the most logical comparison in the class D camp, connected with the same powercables and using a Meridian 506.24 CD player as digital transport, the Devialet 200 sounds every bit as powerful as the Rowland 525 but has much higher resolution. This is most apparent in the treble which is much more subtle, fluid and airy than with the 525. The Devialet 200 also has a much more relaxed and smooth sound, more reminiscent of older Jeff Rowland amps, which I definitely prefer. The 525 does have a more natural timbre and slightly more robust bass, but the Devialet 200 counters with a larger and deeper soundstage, topped off with better layering front to back within the soundstage. Where the 525 still sounded like typical class D, the Devialet 200 sounded like, well, analog! It could be said that the 200 sounds slightly tipped up in the high frequencies, but it prevents any harshness or overt brightness while doing so. Rather, its gentle and smooth presentation just makes it sound nicely extended and airy. Above: the Rowland 525 is already diminutive but the Devialet 200 really takes the crown for being almost invisible. 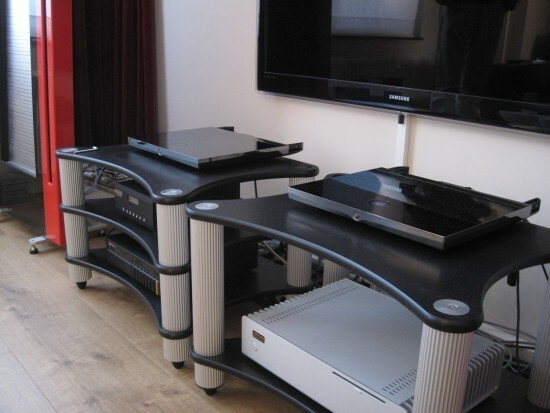 It looks more like a fancy equipment platform than a powered all in one streaming audio solution. 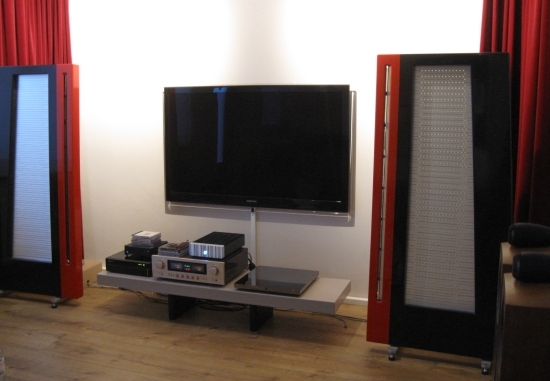 In the 525’s defense, the Wadia 121 DAC isn’t bad, but it’s far from state of the art. The Devialet is at an advantage for being a DAC and amp all in one and therefore not needing an external DAC. 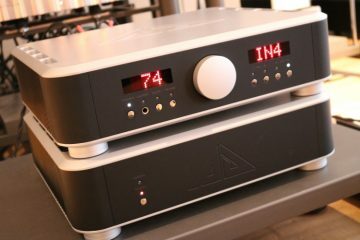 I know from experience that this Wadia diminishes dynamic expression, greys out the timbre and has a smaller soundstage than dearer DACs. Nevertheless, even with the 121 as a source the 525 still managed to sound more lively and timbrally correct than the Devialet, so the Wadia’s detractions were only mostly valid in parts of the presentation, and overall I feel that I can still conclude that the 525 is not as highly resolving, nor performs as musically involving as the Devialet. 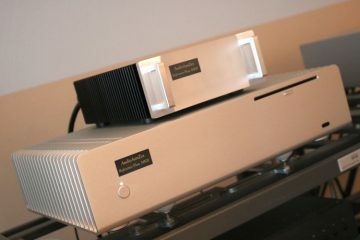 Next up for comparison is the Accuphase E-260 integrated amplifier. This is more a matter of taste, and perhaps, desire for configurability or fashionability, as both amps sound fantastic in their own right, even if they have entirely different sonic signatures. All circumstances being equal, the Devialet has a lighter tonal balance, focussing on finesse and extremely fine resolution while the Accuphase has a fuller, warmer tonality and excels in providing a more sonorous, robust, life-like performance. 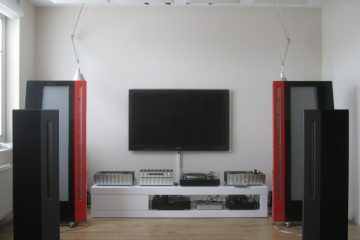 Both amps have a solid, deep and wide soundstage, perhaps the Accuphase a little wider even. Both presentations appeal to me for different reasons. The important thing to take away from this particular comparison is that the Devialet sounded every bit as fluid and “analog” as the Accuphase which is a true analog amplifier. In the main audio setup the Devialet 200 continued to impress. 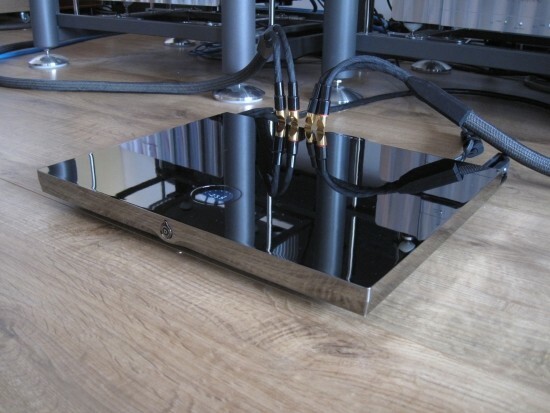 Used in combination with the AudioAanZee Reference Flow music server, connected with an Audioquest Diamond USB cable directly to the Devialet, the 200 drives the big Apogee Divas with authority and finesse, and it played loud, too! 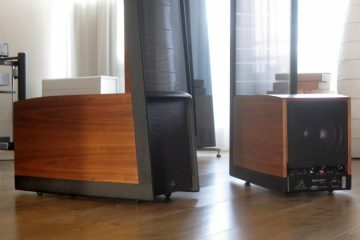 The Jeff Rowland model 6 mono power amps that I normally use did sound even more authoritative and fullbodied, and also threw a larger soundstage, but did not improve on the Devialet’s resolving power or refinement. And amazingly the Devialet turned out to be even more subtle and airy than the big Rowlands! Again, not in a in-your-face kind of way, far from it. In the context of this audiosystem as much as in the other system, the Devialet always sounds relaxed and smooth and decidedly non-agressive. PRAT btw is also spot on: not slow, not overly paced but juuust right. 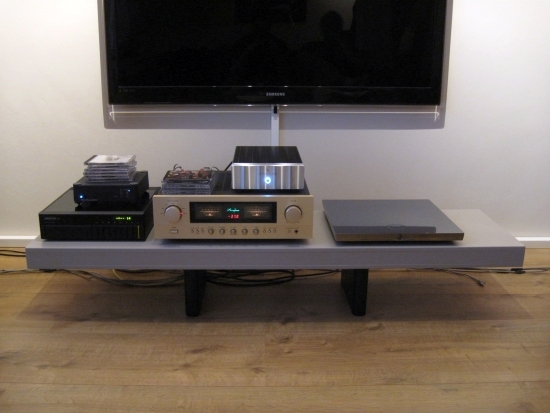 I also played some CD’s using the Devialet’s coaxial digital input with excellent results. Normally I prefer USB over coaxial, but in these quick tests I didn’t notice obvious differences, both inputs soundig equally musically involving. As the Devialet was only available 1 evening, sadly there was no time to test the AIR method, which Devialet claim is superior, but I will definitely look into this in the near future. I also wouldn’t be surprised if at that time I did pick up on small differences between USB and coaxial when I spend more time with it. By pure coincidence a friend dropped by the next day with a Devialet 120 and so I went straight for the big system to see if the drop from 200 to 120 watts into 8 ohm meant that perhaps the Divas were now a little too much for the little amp. But not so! Like the 200, the 120 took full control of the Divas and as far as I could tell it was just as powerful. Because the Divas are not very sensitive, I noticed how I could crank the volume control to well in the plus range (+6 I believe), but the amp kept giving, with strong, pulsating bass and ever so clear and stress-free midrange and treble. As a matter of fact, overall, the 120 sounded remarkably similar to its bigger brother. There was a night inbetween these two tests, and I did not listen to both amps side by side, and under these circumstances I did not pick up on any obvious differences. Later direct comparisons would however make clear that they do indeed sound different. More on this below. 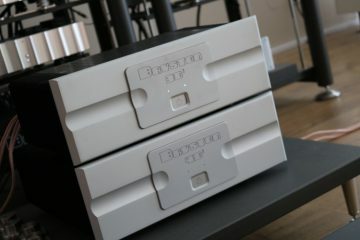 Aside from audible differences, one might also choose a 200 over a 120, because it has more input- and output connectivity, a more advanced phono stage and can be turned into a 400, should you ever run out of power, or choose to biamp your speakers. Regular readers may know that the crossovers that came with this particular pair of Duettas weren’t original. 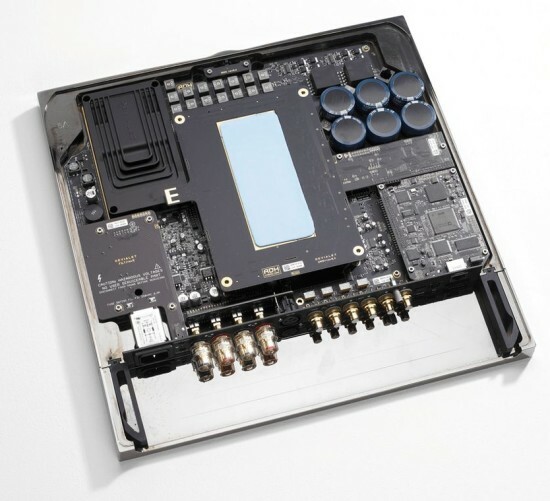 Among others, components had been removed by the previous owner to switch the MRTW ribbon into high output mode, which made for an overly forward higher midrange and treble. 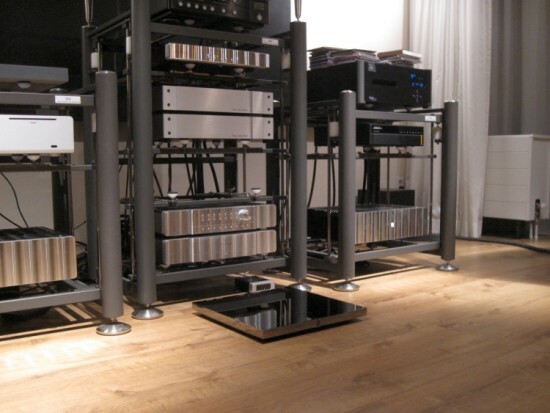 For this review however, listening took place using a separate set of original Duetta Reference crossovers (almost identical to Duetta Signature crossovers) that I was given by Dutch Apogee restorer Henk van der Hoeven.